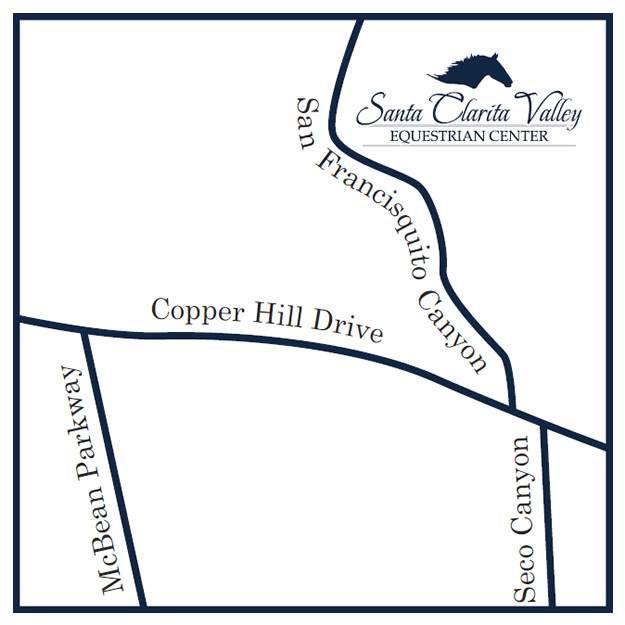 Santa Clarita Valley Equestrian Center's Summer Camp has brought smiles to SCV kids for over a decade, thanks to warm and loving staff members, an incredible facility - and plenty of time to "horse" around! Campers ages 6 and older will learn to ride during formal lessons and daily trail rides alongside professional trainers and fun camp counselors. Snacks and crafts are included. With convenient drop off options for Santa Clarita parents, our Summer Camp is available for full and half-day options by the week. Just one mile north of Copper Hill Drive, we're in Santa Clarita - but feel a world away. Need to drop off at 8am - or pick up at 1pm? Drop off up to one hour early, and pickup up to one hour later, an additional $15 an hour. Must be pre-arranged. Your earlybird or late-pickup camper can relax or join in on "camp chores." Full-day Sessions Available - 12pm to 1pm is Supervised Lunch Break with plenty of shady places to relax, connect with new friends, explore, read, craft and play in nature. Please pack your child a hearty sack lunch.